Labour unions in Nigeria have rejected the N27,000 new National Minimum Wage adopted by the National Council of State on Tuesday. 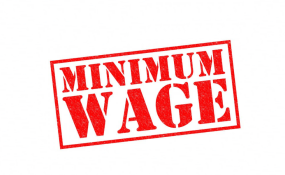 The National Council of State pegged the national minimum wage at N27,000 for states and the private sector. The council also pegged N30,000 as the minimum wage for federal workers. The council's meeting held at the Presidential Villa, Abuja and was presided by President Muhammadu Buhari. In separate press statements issued by the Trade Union Congress (TUC) and the United Labour Congress (ULC) Tuesday night, both unions rejected the amendment made to the submission of the tripartite committee which was submitted to the presidency more than two months ago. The TUC statement was signed by the chairman, Kaigama Bobboi, while ULC president, Joe Ajaero, signed the union's statement. According to Mr Kaigama, the Council of State's decision though advisory is weighty and may give a semblance of authority to the decision. According to him, the decision must not be allowed to stand because it will set the wrong precedent for the future. "After statutory bodies have done their jobs, Council of State will now sit to review it," he said. "The Trade Union Congress of Nigeria (TUC) rejects, outrightly the new National Minimum wage of N27,000 as recommended by the National Council of State, the fact that the federal government agrees to pay N30, 000 notwithstanding," he said. He said the N30,000 minimum wage is a product of negotiation, not legislation, not advice and not a decree. In his statement, Mr Ajaero of the ULC said the National Council of State's decision is shocking. "ULC rising from its just-concluded Central Working Committee (CWC) meeting today in Lagos rejects in its entirety the proposed N27,000 which is contrary to the N30,000 agreed by the National Minimum Wage Tripartite Committee and which has since been submitted to the President," he said. He said the National Council of State does not have powers to approve, confirm, affirm or accept any figure as the new National Minimum Wage. He said it is a mockery of the essence and principle behind the setting of a National Minimum Wage to attempt to segregate it between federal workers and state workers. "We want to state that workers are workers everywhere whether at the federal level or at the state level. They all have the same challenges; go to the same market, same schools and much more they suffer the same fate. You cannot, therefore, pay them differently," he said. He said the dichotomy between the federal and state workers is an attempt to put a sword within the trade union movement and to further the marginalisation of private sector workers in Nigeria. "We will however in the next few days in consultation with other Labour Centres if they are still in the struggle for a just national minimum wage take steps to ensure that the interests of Nigerian workers as it concerns the National Minimum Wage are protected," he said. Mr Ajaero urged President Muhammadu Buhari to disregard the pronouncement of the National Council of State saying it ridicules the statutes and principles governing the nation. "The only honourable path he should tread is to transmit the N30,000 figure as agreed by the Tripartite Committee and even the President on the day of submission of the committee's report," he said. Earlier on Tuesday, the Nigeria Labour Congress (NLC) also rejected the N27,000 new National Minimum Wage adopted by the Council of State. NLC General Secretary, Peter Ozo-Eson, said the council has no jurisdiction to determine another amount after a Tripartite Committee has submitted its report. "It is abysmal of government to be delaying the submission of an Executive Bill to the National Assembly and by wrongfully adopting N27,000 through the council of state," he said. Mr Ozo-Eson said the NLC has called an emergency National Executive Council meeting for Friday to review the deadline given to government to submit an executive bill to the National Assembly for a N30,000 minimum wage. The organised labour had threatened to shut down the economy once the government fails to transmit the bill. The Nigerian government on January 8 picked January 23 as a date for the transmission of a bill for a new national minimum wage, a move aimed at stopping the organised labour from starting a strike about a month before the presidential election.